Plex offers plenty in a package of sprawling features. If you can configure everything right, it will become your new best friend as a home streaming savant or a platform-agnostic pirate. The streaming media world grows more and more crowded every day. Between Sling TV, PlayStation Vue and HBO Now, there's no shortage of streaming options as long as you're willing to shell out the cash every month. But what if - and hang in there with me - you want to stream your own media? What if you don't want to pay for something you've already paid for four years ago? What do you do then? Well, that’s where Plex comes into play. It’s currently the preeminent all-in-one media sharing server that uses your PC to distribute content to any room in your house. Plex is essentially more software than server, in that it uses your computer as a hub to access media you already have on devices you grant it access to. It's been around for over eight years now, and is pretty much a staple in any media connoisseur's arsenal. But should you shell out for the paid version? Should you pick this over a rival service? That's what we're going to help you figure out. Plex is divided into two versions. A free, everything-and-the-kitchen-sink version of the media server software, and a paid version called Plex Pass that gives you everything and the kitchen sink plus everything in the upstairs rooms for $4.99 (£3.99, about AU$6.49) a month or $39.99 per year. Plex outlines the differences between its free and paid tiers, but among the starkest contrasts is the that paying for the pass also unlocks the live TV DVR, Sonos integration and virtual reality support. Once you've decided which service is right for you and your household, it's time to run the installer and set up a Plex server. Note that there is a difference between the Plex Media Server app for PCs and Macs, and the Plex apps available on a wide array of devices and platforms. Installing the media server software is quick and painless. But the act of actually adding media to Plex - which requires setting up specifically named folders and subfolders and naming video files in a certain format - is best described as tedious, irritating and at points downright ridiculous. Stick with it, though, and you'll be rewarded ten-fold once your server goes live for the first time. There's nothing quite like the disappointment of buying a new piece of kit, only to learn that your favorite service isn't compatible with that hardware. But, despite how many times that has happened in the past, that won't happen with Plex. It's available pretty much everywhere you can think of. Plex is available for mobile devices running iOS or Android, as well as a stable of set-top boxes that include any Android TV platform, most smart TVs, the new Apple TV, Amazon Fire TV, Chromecast, Roku, Xbox 360, Xbox One, Playstation 3 and Playstation 4. If you're out at a friend’s house and left your PC running back home, you can even use a browser to login and access your cache of shows, pictures, music, movies and podcasts. Heck, now it even works with Amazon Echo. You can ask Alexa to play music from your Plex server, or ask for the latest film to be added to your collection. Ask Alexa to play the film and it will pop up on your screen. Plex’s developers designed it to transcode multiple file types so they can play on devices that wouldn’t otherwise be able to play them. That inexhaustible urge to be agnostic isn’t bulletproof, however, since files don't always play nicely with the platform they’re streaming to. When your PC needs to transcode a video to play on a platform it requires a bit of CPU processing to get the job done. Streaming across platforms - or Direct Stream, as Plex calls it - can cause some slow down. This didn't impact me as much as other users, but it's worth mentioning. Considering the free tier is there for the taking, I couldn’t blame you for thinking Plex would skimp on its interface. Sometimes our gut reactions are wrong, however, and if you're ever looking for a shining example of that, this is the place. Plex looks, more or less, like the bookshelf on Kindle or the iBooks app on iOS. It categorizes each title is by genre and pulls in metadata to give it cover art - even if the file you had downloaded didn't come with any. Like your standard media player, Plex also comes with playlist, watch later and recommended features that pull data from both your personal library and any number of "channels" you install on your server. This sounds like a minor detail, I know, but it's small details like these that make Plex feel like a premium service. Think of it like Netflix, only it’s your stuff and not someone else’s. I found relatively clear playback at around 10Mbps speed both on my hardwired PC and wireless 802.11a/b/g/n tablet. The occasional dropped frame didn't necessarily kill the experience for me, though on the one or two occasions I hit pretty severe blocks of slowdown. In those moments, I did feel a twinge of frustration. That said, if you're apt to have days of 3Mbps speeds, consider going another route for your streaming setup. Plex does offer remote access to your server, and it can work really well, albeit with some caveats. Remote access gets blocked if your computer is using a VPN. If you’ve gone as far as using one for your whole home network, it will still disable the feature. The speed you get when and where you’re pulling in the content matters, too. If you’re on a limited data plan for your phone or tablet, stick to Wi-Fi because streaming video from a Plex server can take up plenty of bandwidth. Not to mention the upload speed of your home network is crucial. If that’s sluggish for any reason, remote access can come with annoying buffering. Metadata isn’t always perfect, either. Most of the time, that’s an easy remedy – just fill in the file name correctly. But there are still weird things that happen. Oddities, like two seasons of a TV show displayed as one whole season, have happened to me. Same with getting the wrong cover artwork or missing folders of music altogether. For those reasons, Plex needs some guidance to do its job. Name the files right, organize folders properly, and you won’t run into problems. Making live TV work seamlessly in this era of over-the-top video streaming is something cord-cutters love to figure out. Plex has the pedigree to integrate it, but like other parts of the platform, it’s not the easiest thing to put together. As pure software developers, the folks at Plex are kind of at the mercy of third-party hardware makers. But integration is also zero sum, in this case. For example, certain TV tuners, like the HDHomeRun and latest Hauppage models, will do fine. Others, like Tablo and TiVo, are non-starters. Having the tuner itself is also only a piece of the puzzle. You need something to plug it into so that Plex can actually see it. I used an Nvidia Shield TV because Plex’s Media Server app is readily available and often updated on it. Then I needed an empty external hard drive to plug into the tuner or the Shield (depending on if the tuner has a USB port for external storage or not). In my case, I had the HDHomeRun Connect, which meant I had to connect it to my home network on one end, and then a digital antenna on the other. From there, I could then stream recordings over Wi-Fi to the Plex app on the Shield. After that, I could also access the recordings through Plex apps on iOS, Android, PS4, Xbox One, Roku, Amazon Fire TV, TVs running Android TV, Apple TV and web browsers. Using Chrome on a computer or the Plex app on mobile devices, I could push the content over to a TV via Chromecast. Had I used a Hauppage tuner, I would have to plug that directly into the Shield (with the other end connected to a digital antenna), and the hard drive into one of the Shield’s USB ports. The choice of tuner relies heavily on where the Shield is relative to your home router. You could also use a PC or Mac instead of the Nvidia’s box and achieve the same results. If any of this already sounds confusing, it’s because it can be. The joy of Plex is that getting it to work right is tantamount to performing a successful experiment. Tech-savvy users with patience could appreciate how this comes together, whereas novices might feel enormous frustration at the number of steps involved. Plex will organize recorded shows and movies and add artwork to them, regardless of which tuner is bringing them in. And since the platform transcodes files, watching them on otherwise incompatible devices isn’t a roadblock. The organizational side also provides plenty of customization. I could avoid reruns, so I don’t record the same episode twice, re-record an episode if it wasn’t in HD, only record a show from one channel and delete older episodes to make room for newer ones. Another feature, albeit tested in beta, was a commercial remover, cutting out the annoying ads and clipping together the actual show’s runtime itself. It’s not perfect, but it does work, and cumulatively saves time and storage space. Consider that an hour-long episode usually comes with about 15 minutes of ads. A 22-episode season would mean 330 minutes worth of content that weren’t tied down by commercials. Despite all that, while there are slight variances on how this looks depending on which Plex app you’re using, Tablo and TiVo do a much better job of laying out the schedule. A caveat to all this is that set top boxes like the Shield weren’t meant for Frankenstein setups like what I’m describing. If you want multiple tuners to record shows consistently, consider using a desktop PC instead. Plex added podcasts to flesh out its content delivery, and unlike some of its other features, there is little to set up to make it work. While still in beta as of this review, it was easy to get a good sense of how you can access and utilize them. For starters, Plex’s library isn’t as deep as longstanding podcast repositories, like Overcast, Downcast and Pocket Casts. Many of the most popular or common ones will show up quickly, but it’s likely that you’ll find something missing. To plug any gaps, Plex has an option to search for a podcast via URL, which is a decent consolation. By integrating them into Plex’s app, podcasts become part of the wider home screen. That makes it easier to jump on a podcast on the same screen that could show the movies, shows and music you already have access to. The added advantage is you don’t need your Plex Media Server to listen to any of them, since they’re just pulled from the cloud. In addition, you can start by listening on one device and then continue on with another. So, if I was listening in the car through my phone, I could then pick up where I left off on my Roku, for example. Officially out of beta now, Sonos support for Plex is a backdoor to playing music files the popular multi-room speakers don’t otherwise play. It was in beta for quite some time, but now finalized, it’s great — when it works. I’ve had both good and bad experiences with it. It was great to have many gigabytes of music stored on a NAS and mine it for tracks that I could play on any Sonos speaker. I could even create a queue or playlist that shuffled songs from both the media server and streaming services. Playing lossless FLAC files was one of the most recent additions, and a sorely needed one. For all its audio chops, Sonos has been reluctant to swing open its compatibility doors to high-res audio formats. More than that, it couldn’t play AAC files, either, essentially cutting off tracks purchased from online music outlets like iTunes. By now supporting FLAC files up to 16-bit/44 kHz, Sonos has at least simplified the process. And Plex doesn’t have to transcode those files down to 320kbps to play on Sonos’ speakers anymore. The AAC support is just a bonus on top of that. Still, this marriage is a rocky one. Not because neither side likes the partnership, but because too many bugs haven’t been squashed yet. For example, Sonos will sometimes not be able to see the media server at all. Other times, songs won’t play for unknown reasons. Music folders separate from iTunes may not appear, only to appear later on. It’s one of those things where it’s great when it works, yet a frustrating nuisance when it doesn’t. With virtual reality (VR) gaining some traction amongst a subset of consumers, Plex targeted video aficionados with this add-on. The most important detail of note is that the platform supports VR content on compatible headsets. At the time of this review, those were the Google Daydream View, Samsung Gear VR and Oculus Go. The Plex VR app is also separate from the main mobile app. It has a VR interface and is made to work with the controllers that come with the aforementioned headsets. 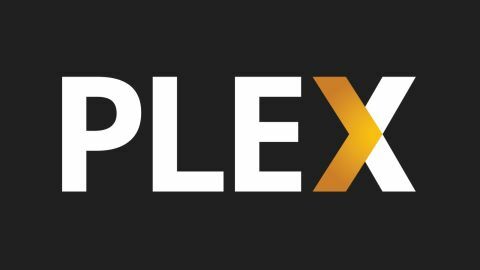 What Plex has pushed from the start with this is what it calls “co-watching” and “Drive-in.” Basically, you get to watch the same content with friends or family, even if they live half a world away. One person still needs to have Plex Pass, though. It’s not limited to VR content — any video accessible on your Plex server could be viewed by up to three others (so it’s four total). The layout is adjustable, so you can choose a virtual drive-in, apartment or just a plain black background. It’s a weird way to watch anything of a longer duration. I’ve never been a fan of watching a full movie with a headset on, but Plex thinks people will be willing when they can communicate with each other watching together. VR headsets like the Daydream and Gear VR are okay, though the resolution isn’t as good as watching on a good TV, laptop or tablet. Plex looks deeper by adding this type of integration, but it’s still early to consider it a key component. If you consider yourself a media buff, have a repository of media files to back it up, and like the integrative path Plex is taking, then the platform is everything you've been longing for. The installation and setup process is a bit tedious and convoluted. Not exactly amenable to novices who would love the access, but hate the steps to get there. Still, once up and running, I found it to be a gorgeous, easy-to-use and light-weight piece of software. The fact that it's free to download, with reasonable subscription fees, just adds icing to an already delicious cake.